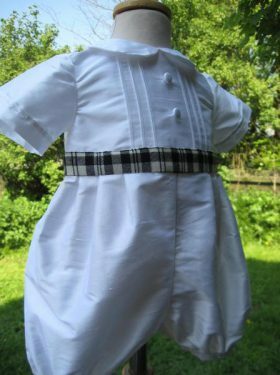 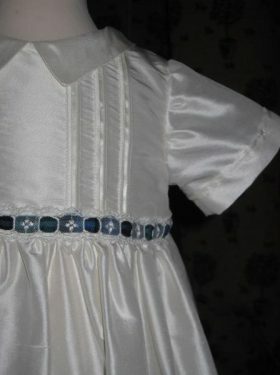 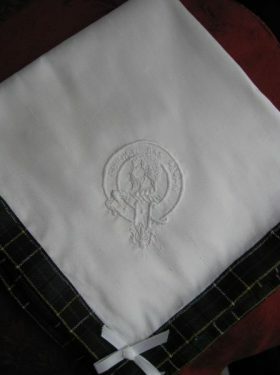 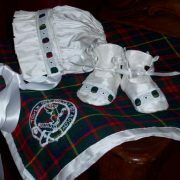 This lovely silk bonnet with tartan trimming is a beautiful addition to finish off every little girls Christening Gown. 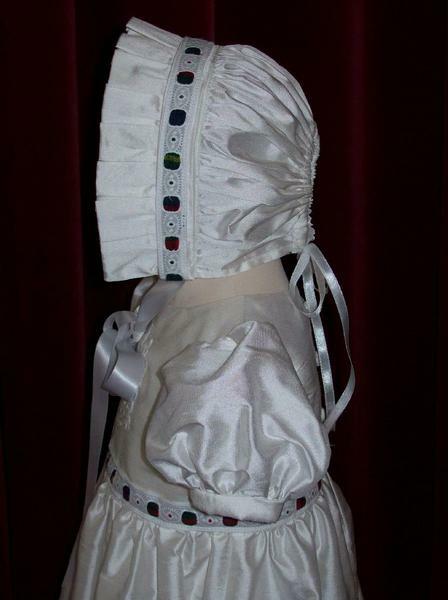 Made from pure silk dupion the bonnet is available in white or ivory silk, or white cotton lawn. 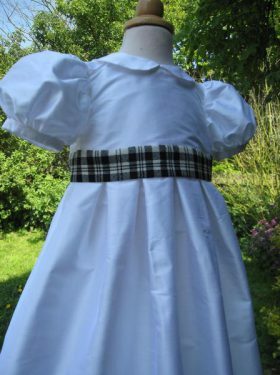 It is gently gathered into the crown and has a full frill. 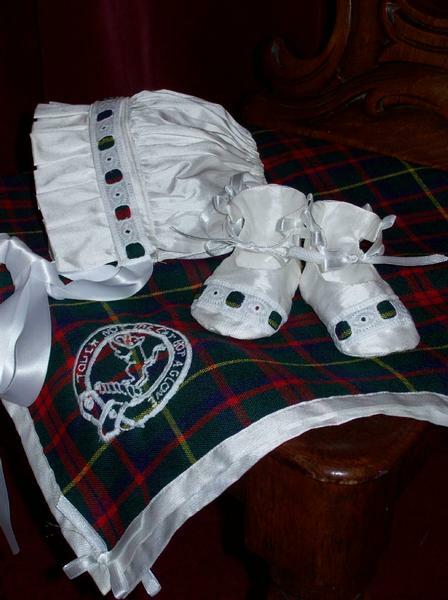 The bonnet can be decorated with every type of tartan available. 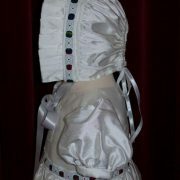 A perfect accessory to make every little girl a princess.